UCU - How much does it cost to be a UCU member? Can hourly paid or part-time staff join UCU? How does UCU work for its members? Will I get lost in a big union? Can I join more than one union? Do you represent MRC, NIBSC or Imanet staff? How can UCU help and support me as a health educator? I've been a member of the RCN since I was a student nurse - why should I join UCU too? Can UCU help me develop my career? Can students or postgraduates join? Young workers need the union more than ever. 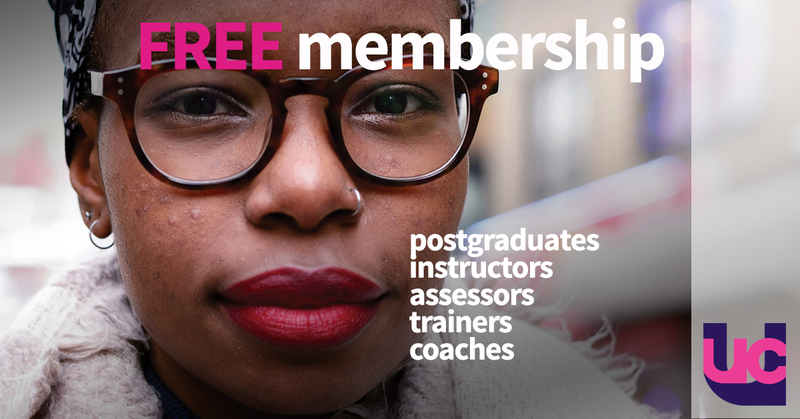 As part of UCU's drive to support education workers at the start of their careers we are offering free membership to some further and higher staff. Find out more here. UCU membership can cost from a little over £1 per month depending on your earnings. Most members can reduce their subscription by claiming income tax relief. Arising from the decisions of UCU's national congress and the National Executive Committee, the subscription rates for 2018/19 have now been agreed. Please see below a table showing the new rates taking effect on 1 September 2018. Subscription rates this year have not been increased by the same percentage across all bands, indeed the rates for the lower bands have been reduced. This is to implement the first step towards a more proportional and fairer system advocated by the NEC and approved by Congress. A review will be conducted during 2018-19, with wide consultation, in order to decide on future changes to rates and bands. Local subscriptions: some local associations and branches levy a small additional local sub for local branch use. Different rates are applicable, according to annual salary band, for joint BOS, CSP, Musicians' Union, RCM, RCN, SCP, and SOR members. The rate for 1 September 2018 to 31 August 2019 for retired and attached members is £2.80 per month (£2.78 excluding the political fund). Attached unemployed members seeking employment pay nothing (for one year from date of becoming an attached member). *FREE* membership for enrolled postgraduate students contracted to teach in UK HE, and FE staff not on lecturing contracts but part of the teaching and assessing team such as instructor, assessor, trainer, teaching assistant, coach.